Dorothy Worrell was the teacher at this school. Front row left to right: Paul Theurauf, Elaine Leonard, Betty Cilek, Jim Leonard, Doris Cilek, Bernard Slofer, Howard Mottet, David Theurauf. Back row left to right: Dolores Worrell, Mary Jean Slofer, Miss Mottet. 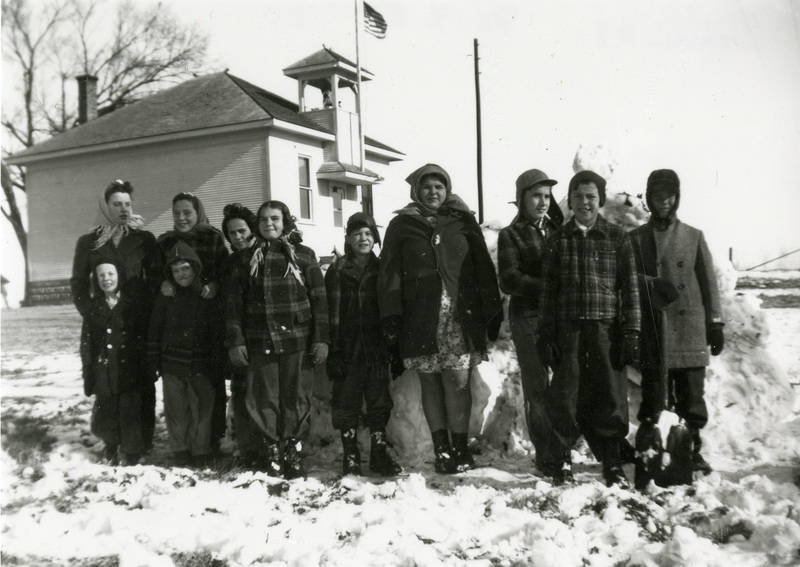 “Cedar #19 School, 1946-1947,” Iowa City Public Library, accessed April 19, 2019, http://history.icpl.org/items/show/1583.